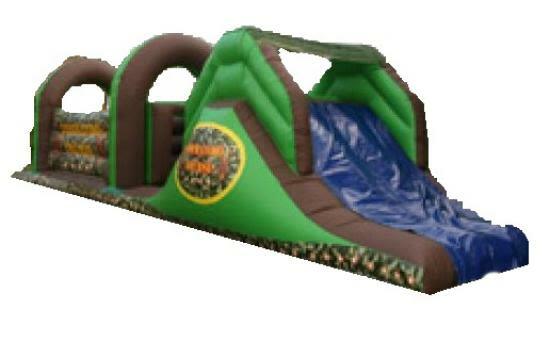 50ft X 10ft Army Commando Assault Course. Hello there! This is my first visit to your blog! We are a collection of volunteers and starting a new initiative in a community in the same niche. Your blog provided us valuable information to work on. You have done a wonderful job! 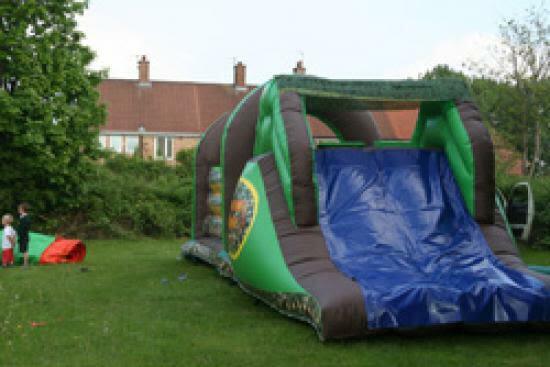 great company well recommended, we had a different bouncy castle that we did originally order but was 100% better, fully enclosed and weather proof, quick delivery set up and no hassle will definitely book again next time! thanks for the ben10 castle on sunday.came on time and staff were great and my kids love it.thanks again. 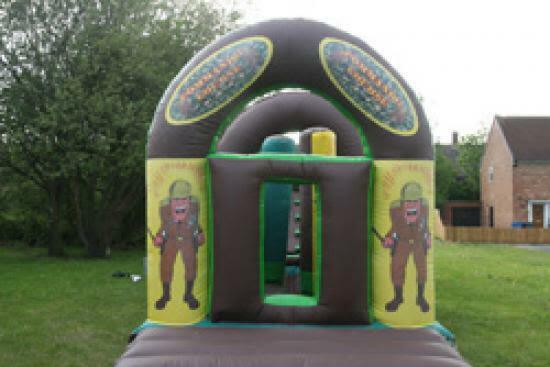 This army commando assault course.is 50ftx10ft long and is newest to are fleet.This 50ft army commando assault course has all the characters on it from the army and other forces.This big 50ft assault course are great fun and has loads of obstacles to get over and go through and it has one big slide on it at the end which the kids love.All are assault course are to see who can get down them from the start to the finish the quickest and this army one does test you.The kids love them so why not book on line today and get one for your party our your event.We hirer all our bouncy castles,inflatable slides,and our rodeo bull hire in and round the liverpool area plus the surrounding areas which include widnes,warrington,runcorn,st helens,and the wirral,plus other areas which you can call us to see if we will cover.There might be a fuel charge for some areas we go to and will go to.But you can check this on are website by clicking on are postcode checker and it will tell you if there is a charge for your area.